Aww! 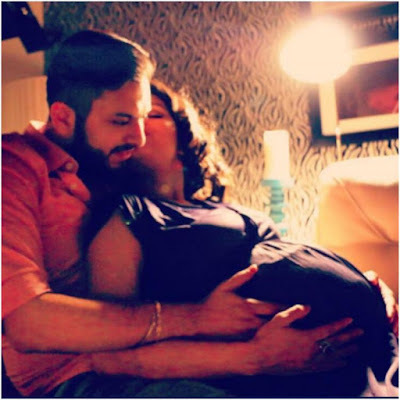 Dimpy Ganguly Announced Her Pregnancy With This Awwdorable Photo! The bong beauty Dimpy Ganguly is currently on cloud nine. Dimpy got married to businessman Rohit Roy in November last year is all set to enter into Motherhood. Yes! You heard it right the pretty lady is soon to be a mommy and is all set to welcome her bundle of joy. She announced his pregnancy on Instagram with a very sweet caption,” A year back on this very day we decided to be a part of each others life for the rest of our lives..Can't believe how time flies! Feels like it was only yesterday that I thought I had lost everything when you came along to hold my hand and gave me everything that I had ever hoped for and so much more.. I thank God everyday for sending you to me - my guardian angel, my lucky charm, my best friend. But today I want to thank you, thank you for being YOU! Can't tell you how happy you make me Rohit Roy! Love you infinity times infinity and yes, Happy One Year baby!" The snap is unbelievably awwdorable!